People want things they can’t afford, and others want to get rid of things easily and quickly. Gifteng solves these two problems while allowing users to build a new kind of social status based on a very unselfish thing: giving. Gifts are posted my members of the community, items such as clothing, furniture, toys, books, and electronics to name a few can pop up. If a user sees a gift they would like to receive it can be requested to have a message sent to the poster. If the submitter of the gift agrees to your request shipping and meeting arrangements can be made and gifts exchanged. 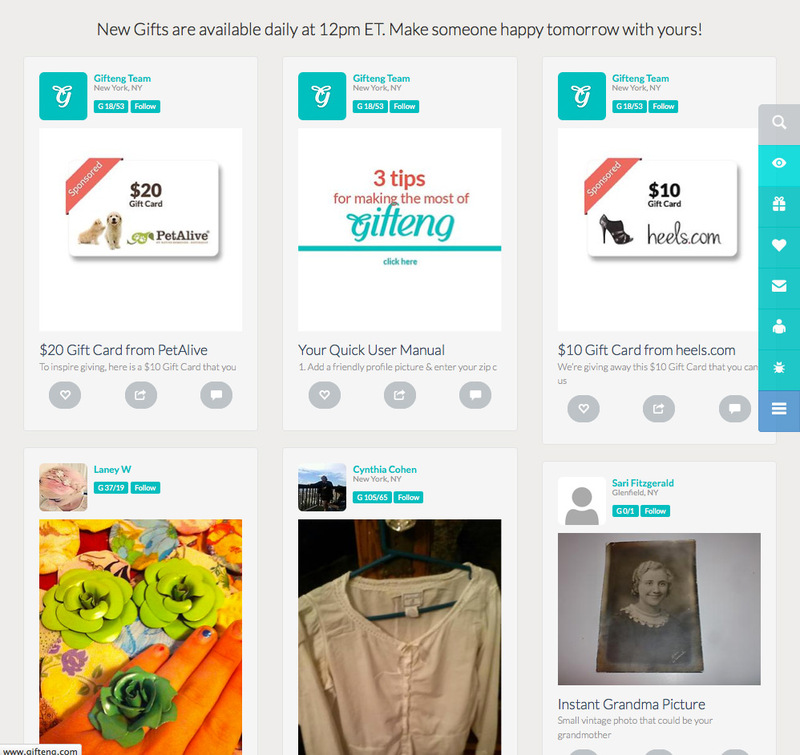 Users get what they really want, and gift submitters give away what they don’t use any more while earning points toward sponsored gifts or the chance to request more gifts from others. 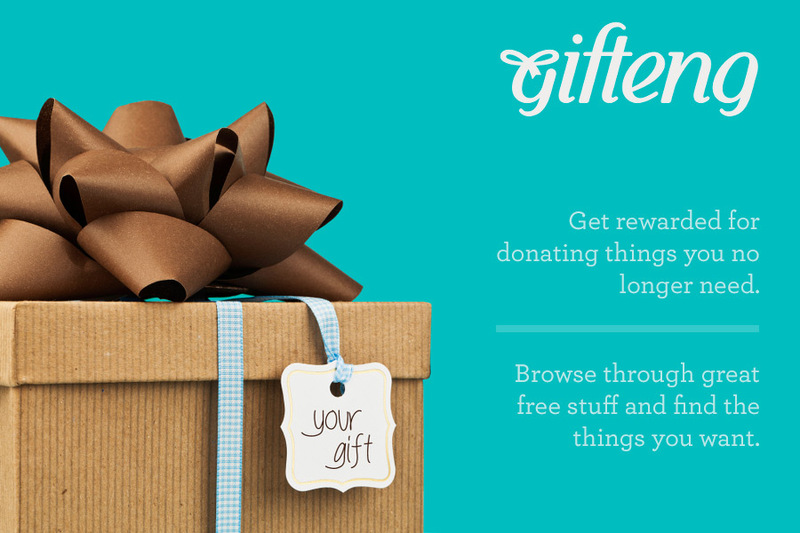 Gifteng is a social community where you receive for giving for free. Members that are generous earn chances to get much back in return. Hopefully this form of gift exchanging doesn’t overrule the chance to help those that are social conflicted, but does give an outlet for those looking to giveaway some of the items that aren’t necessities in their life to request something that is.